Welcome to a new challenge at Retro Rubber. 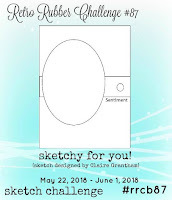 This week, we have sketch for you to play with. The only things to remember when you're playing with us are to use at least one stamp that's a year or more old, tell us about the age of your stamp and don't link up to a total of more than ten challenges. 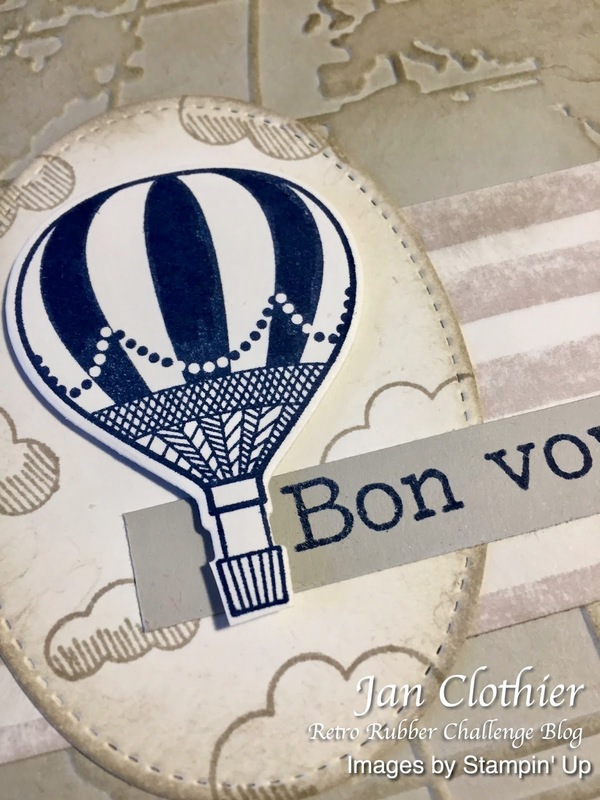 The balloon and cloud stamp set, Lift Me Up, is still current but first appeared in the 2017 Occasions catalogue - so January 2017. 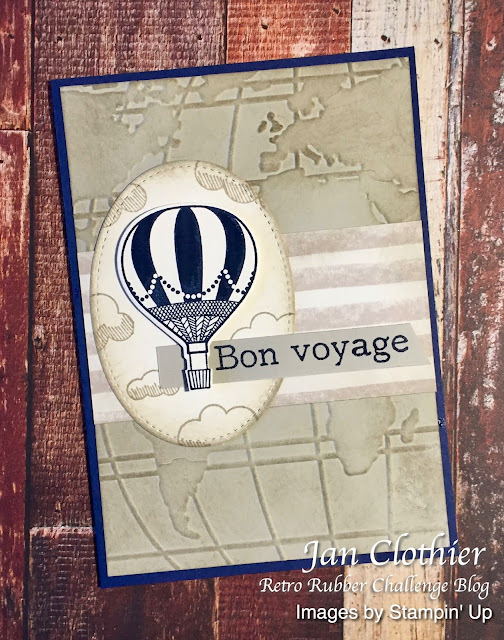 The sentiment is from a Clearly Besotted set called Say it in Style. I'm not sure when it first appeared, or even if it's still available, but I've owned if for at least three years. 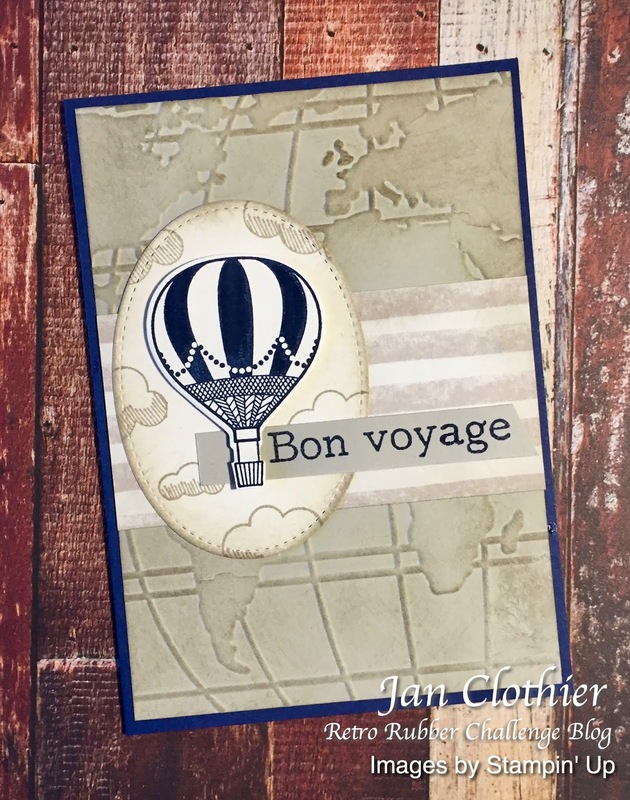 The embossing folder and the striped paper are both retired Stampin' Up products. 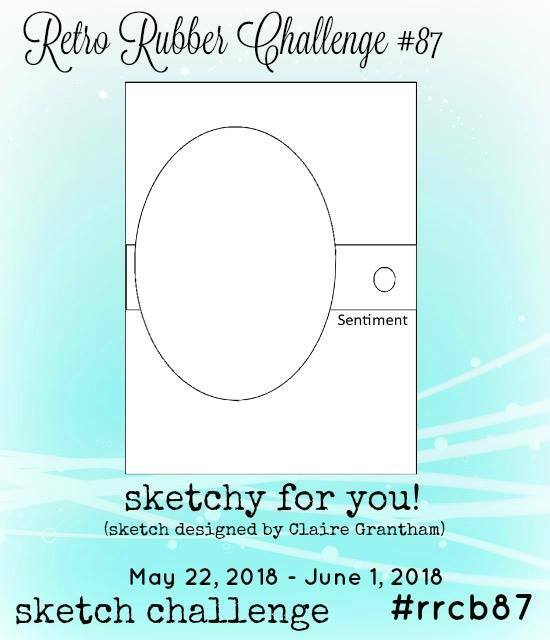 We'd love to see what you do with this sketch. Hop over here to see what the rest of the Design Team have come up with, then why not join in with us? And, of course, you can shop with me from anywhere in New Zealand by clicking the SHOP NOW button in the sidebar of this blog or any of the products in the product list below. NB: The embossing folder and DSP are retired products. The sentiment is a Clearly Besotted product, Say it in Style.